Adequate knowledge about the information needs and seeking behaviour of users is vital for developing digital library collections, services and facilities to meet their information needs effectively. Information seeking as an underlying feature in research cannot be done without an enabling environment where needed resources and services are provided. The available literature reveals that although librarians have made good progress in adapting primary values of librarianship which are to support intellectual freedom and equitable access to information, information seeking process in the Digital Libraries has, however, been found not to be without limitations. Seeking scholarly information in the Digital Libraries is limited by the availability of reliable and affordable information and communication technologies. Information seeking in the Digital Libraries has been found to be limited to those scholars who are affiliated with organisations which have the money and skills to provide access. It has been found limited to those who are literate, information literate and have a command of the major languages of commerce and scholarship (English in particular). Infrastructure, education and skills as well as content were the three spheres identified in this Chapter as preconditions that must be satisfied if broad digital scholarly information is to be sought without restrictions. Provision of effective service in the Digital Libraries as recommended in this Chapter requires sufficient understanding of the real needs of information users and making precise efforts to satisfy them. This can best be achieved through formal in–depth studies of the information needs and seeking behaviour of users. Librarians, especially those involved in bibliographic instruction should be interested in ways individuals approach the library (be it digital or physical) and the methods they use to search for needed information. Strategies intended to improve the provision of library services should be redesigned towards information skills development and information resource awareness. Library services and activities have been enhanced expeditiously in the advent of modern technology. Formerly considered as activities involved in physical collection of information found in books, library activities, in our day, are shifting from traditional collections housed within bricks and mortar to a new focus on digital materials that exist outside the physical and administrative bounds of any one library. Librarians, in the 21st century, are expected to be familiar with and sustain new online information-seeking behaviors and user expectations precipitated by the electronic networks, while instantaneously continuing to acquire – and find space to store – traditional materials with the incorporation and/or exploitation of innovative technologies. Users no longer have to enter the library to use journals or search the catalog to find books, contemporary technologies have realistically moved the library beyond its physical space to reach a greater numbers of users. Substantiating this, Byrne (2003) asserts that access, shorn of geographical limitation, to the prevailing combination of digital publications, dedicated and generalist databases, sophisticated search systems and portals has created unique remote access to scholarly information. In his words, it was affirmed further that the combination had recently provided a digital library which enables scholars as well as learners to rapidly examine a great wealth of the scholarly literature in their own disciplines and those new to them. The primary principles of digital libraries are to support intellectual freedom and equitable access to information. Fulfilling this task and safeguarding these values are not without challenges. The debate continues on whether barriers to information seeking are in terms of physical limits to access, that is, lack of information resources or the means to retrieve them but it has been discovered that information seeking can be hindered in several ways. It is in this perspective that this chapter undertakes a review of issues and some empirical studies on what constitutes hindrances to effective information seeking in the digital libraries and proffer ways of addressing them. 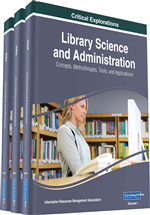 The Information behaviour is a sub-discipline within the field of library and information science. It describes how people need, seek, manage, give and use information in different contexts. It may also be described as information-seeking behaviour or human information behaviour. The belief that information is indispensible in the functioning and interaction of individuals, social groups, organizations, and societies, and to the ongoing improvement of the quality of life is in tandem with the Latin and Greek origins of the word: information: inform.ere informo, informare, informavi, informatus as “inward forming. Supporting this credence is the opinion that information has the potential to modify what people already know and to shape their decisions and actions. Todd (2003) succinctly defined human information behavior as the study of the interactions between people, the various forms of data, information, knowledge, and wisdom that fall under the rubric of information, and the diverse contexts in which they interact. His search light was further beamed on the key dimensions of human information behaviour including such concepts as people's information contexts, information needs, information seeking behaviours, patterns of information access, retrieval and dissemination, human information processing, and information use. The central focus of reviewing human information behaviour is to gain understanding of inter-correlation among the areas (especially information seeking process and information seeking behaviours) covered in human information behaviour.